As the New Year approaches and parties are being planned, hosts should be aware of their liabilities and responsibilities when it comes to serving alcohol. Every state has some form of a little known law known as the "Social Host Liability Law". Most of these laws are sub-chapters of "Dram Shop" laws. Dram shop laws are those laws that set out the responsibilities and liabilities for businesses such as bars and restaurants that regularly serve alcohol. Social Host laws however refer to the responsibilities and liabilities for a home owner or party host. In most states the Social Host laws refer primarily to a homeowner who knowingly serves alcohol to a minor. While most responsible adults would never consider serving alcohol to a minor, a surprising number of adults either actively serve alcohol at parties attended by minors or turn a blind eye when their teens are hosting a party where alcohol is served. A recent article in the Brockton, MA Enterprise cited a survey conducted by Hingham High School where students were asked if they had attended parties where parents allowed teens to drink. More than 25 percent of freshmen and juniors at the school answered that they had attended such parties – an increase of 30 percent since 2008. A similar study at seven schools in Concord MA revealed that 27 percent of the students had attended parties where parents allowed teens to drink. Social Host laws also hold parents criminally responsible even if they were unaware that the teens had sneaked the alcohol in. A Stanford professor who recently hosted a party for his son and friends specifically stated that no alcohol was allowed. Apparently, without the professor's knowledge, some of the teens brought alcohol to the party and police showed up around 11:00 pm to investigate. The professor was charged with 44 counts of contributing to the delinquency of a minor - one for each teen at the party. While there are separate laws concerning supplying alcohol to a minor, Social Host laws go further and hold the host both criminally and civilly liable if one of their guests causes injury to a third party. Some Social Host laws also prohibit serving alcohol to someone – teen or adult – who has a known drinking problem. 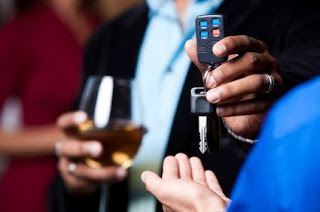 Other states hold the host liable if they provide keys to an intoxicated adult who went on to injure a third party in a collision. Parents who have the idea that they would rather have their kids drinking “safely” at home rather than out on the street need to remember their responsibility to be “Be A Parent, Not A Pal.” For hosts of adults, they should also be aware of their responsibilities and remember that old adage: "Friends Don"t Let Friends Drive Drunk." Take the car keys from your guests as they enter and plan on them spending the night. Call a cab for your guests. Be aware of services provided by cab and towing companies or public transportation agencies that provide free or low cost rides on New Year's Eve. Be a really good host, remain sober and be the designated driver for your guests. Have a safe and a happy New Year.